Swiss Federal Councillor and Foreign Minister Dr Ignazio Cassis undertook an official working visit to Southern Africa from 9 to 11 January 2019. Federal Councillor Cassis visited Zambia, Zimbabwe and South Africa. HE Helene Budliger Artieda, Ambassador of Switzerland in South Africa said that the visit of the Swiss Federal Councillor will strengthen the friendship and bilateral relations between the two countries. South Africa is Switzerland’s biggest trading partner on the continent. Switzerland is South Africa's 7th largest foreign direct investor and 6th largest international donor and with an economic development and science and technology program, it aims to unlock South Africa's economic potential. 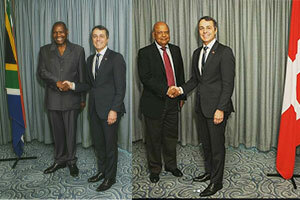 In this regard Dr Ignazio Cassis met with Dr Zweli Mkhize, Minister of Cooperative Governance and Traditional Affairs, and with Mr Pravin Gordhan, Minister of Public Enterprises in Durban. This was the first ministerial visit in almost 4 years. 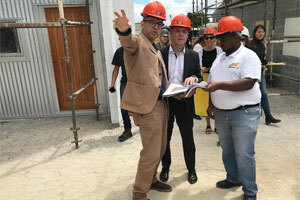 In Cape Town Dr Cassis visited the Empowershack project in Khayelitsha by Urban Think Tank, a design practice that focuses on social architecture and informal development. Urban Think Tank is part of the Swiss Federal Institute of Technology in Zurich (ETHZ). Empowershack in partnership with local NPO Ikhayalami reshapes the approach to informal settlement upgrading. The project is more than upgrading a shack. It is a scalable, transparent and replicable model that combines housing upgrades with a safer urban environment, fair distribution of public space and delivery of basic services. 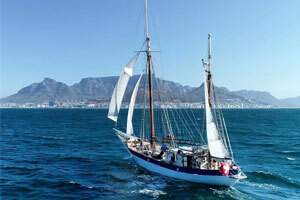 Swiss sailing boat Fleur de Passion, on its expedition around the world, docked in Cape Town where the public had an opportunity to visit this 33-m long vessel, the largest sailing boat under the Swiss flag. Federal Councillor Cassis welcomed the crew to Cape Town. Fleur de Passion travels in the wake of explorer Ferdinand Magellan and is on a 4-year Ocean Mapping Expedition, a journey around the world conducting several scientific research projects and aims for a better understanding of our relationship with planet and ocean.